As we agonized over recent events, and the demonic episodes shown in our society, our studies took us to Micah chapter 2, and Gods judgements. Why go to Micah chapter 2? Micah chapter 2 describes the sins of Gods people that have brought Him to anger and wrath. We see these same sins today. The hatred, the wickedness of those who plot evil laying in their beds at night instead of praying they plot wicked attacks. The shaming of the prophets and men of God. Our government today on the left is telling our pastors and those who read from the prophets what to say and what not to say. If you don’t believe it read about the coveted 501 3C for churches. We see this in churches today preaching there is no penalty for sin, only blessings, we see churches promoting sin, and we see churches silencing the voice of those who do dare to call out sin. Some even announcing from the pulpits that the Old Testament of the prophets is irrelevant, or there is no hell. …..Let not those prophesy that tell us of our faults, and threaten us, but let those prophesy that will flatter us in our sins, and cry peace to us. They will not say that they will have no ministers at all, but they will have such as will say just what they would have them and go their way. This they are charged with (v. 11), that when they silenced and frowned upon the true prophets they countenanced and encouraged pretenders, and set them up, and made an interest for them, to confront God’s faithful prophets: If a man walk in the spirit of falsehood, pretend to have the Spirit of God, while really it is a spirit of error, a spirit of delusion, and he himself knows that he has no commission, no instruction, from God, ……. 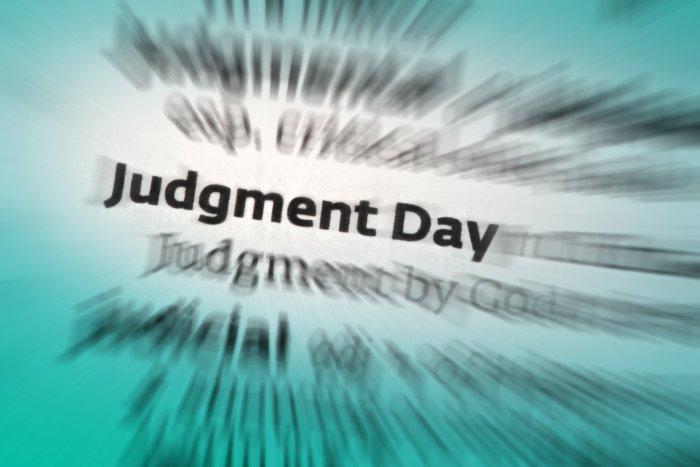 Judgement day is coming fast. What we choose in the coming days will seal our fate. We are taught of the love of God and His goodness and are left to think He never hates anything. This would make Him unfair to leave evil and wickedness unpunished. In fact the entire book of Revelation could not have been written of His wrath and judgement.